One of the concepts that we are pushing in our design for the Hayden Building is the activation of the building's edge: the line between the building's interior and the urban exterior. The facade is perhaps the most unique quality of the building, and with its striking masonry walls and deep windows, we are installing program to allow people, both internally and externally, to engage with the building's facade. 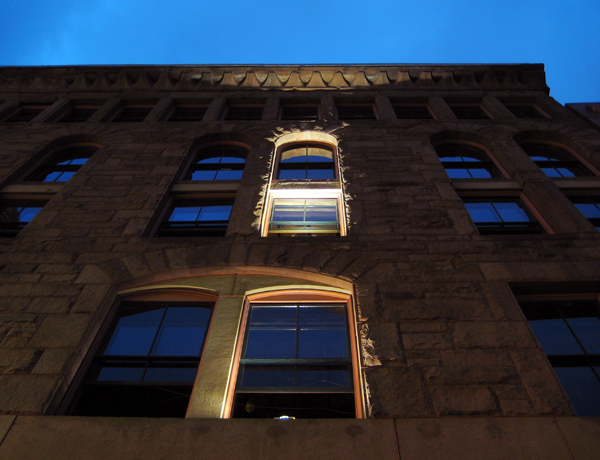 We are actively experimenting with the exterior lighting to reinforce the building's edge and to cast emphasis on what was once a forgotten facade.